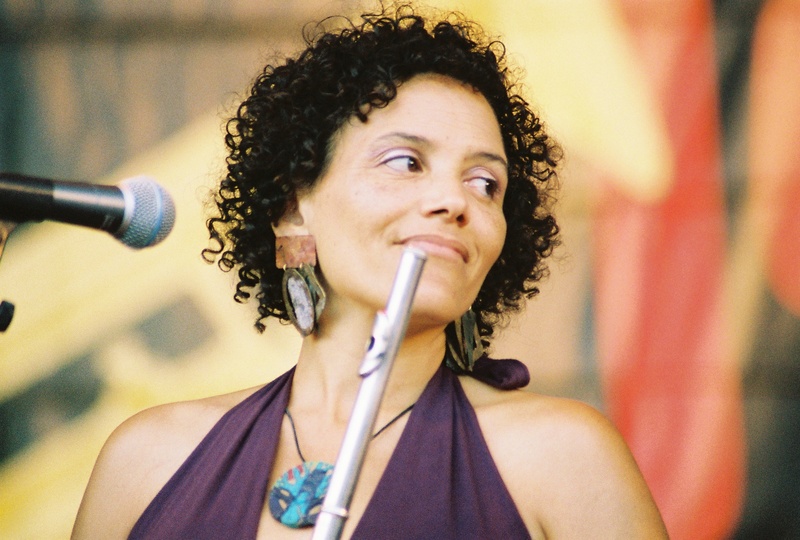 Today, improvisational composer and flutist Nicole Mitchell releases her new album 'Maroon Cloud' via FPE Records. The record sees Mitchell featured in a drumless chamber quartet together with some like-minded and talented voices in improvised music: vocalist Fay Victor, Cuban pianist Aruán Ortiz, and cellist Tomeka Reid, who is one of the flutist’s most trusted collaborators. 'Maroon Cloud' refers to "the realm of creativity that we can enter simply by closing our eyes." In Mitchell's own words: "Imagination, especially black imagination, is a really vital and undervalued resource. It’s very clear that we can’t continue in the same direction that we’ve gone, but we need to return to the source of where imagination and creativity come from, because if we don’t have another vision then we can’t implement it, and we can’t make a different future. What makes us special as human beings is our ability to imagine things that don’t even exist yet." Nicole Mitchell’s performance at Le Guess Who? 2018 is curated by Moor Mother. This program also features o.a. Art Ensemble of Chicago, Saul Williams & King Britt, Irreversible Entanglements feat. Pat Thomas, Maria Chavez, Beverly Glenn-Copeland, Emel Mathlouthi, and many more.